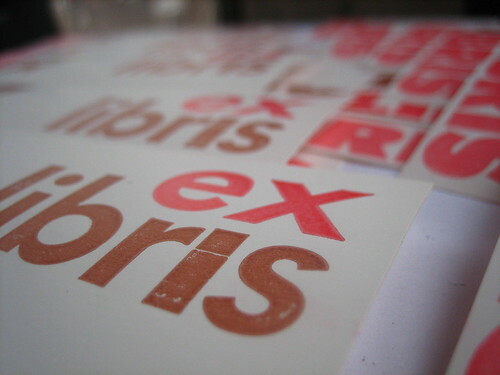 On the Press Now are some three color bookplates. I was looking over at (Oh so) Beautiful Paper and saw these Harry Potter book covers reimagined by M.S. Corley. AMAZING! So I grabbed some of my old books down from the shelf, remembering how wonderfully some of my Science Fiction paperback book covers were designed. 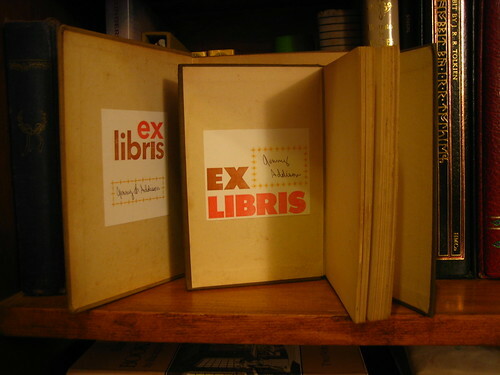 Then I set to work making these bookplates, that would look so beautiful pasted inside vintage books with Mid century designs. Typography rules! I’ll post the third color and the complete plates when they are finished.